Writing murder mystery games is a skill. It’s not easy, but equally it’s not hard once you’ve learned how to do it. It’s a bit like riding a bike. Once you’ve got your mind wrapped around it, then you’ll never forget how to do it. But like riding a bike, it takes time to learn and you’ll get some cuts and bruises (rejections and bad feedback) along the way. Most people can work out a plot. The who killed who and why bits are often the easiest to fathom out. Where people struggle is getting from that point to producing a game that is both easy and fun to play and coherent in narrative! At Red Herring Games we are here to help. Not only can we craft the murder mystery game of your design, using the plot and characters of your choice, but we can also help you write your own. Let’s face it, not all of us have a spare £500-£2000 to throw at a custom written plot. So if you want something unique on a very limited budget quite often you have to write it yourself. In recent months Jo Smedley, Managing Director of Red Herring Games has put together an e-book and mentoring program for those who wish to write their own games. 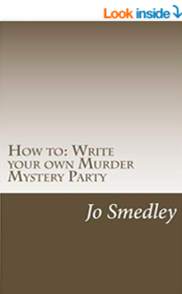 The mentoring program has very limited spaces each year, but the ebook is available throughout the year to act as a spring board for your own murder mystery plots. 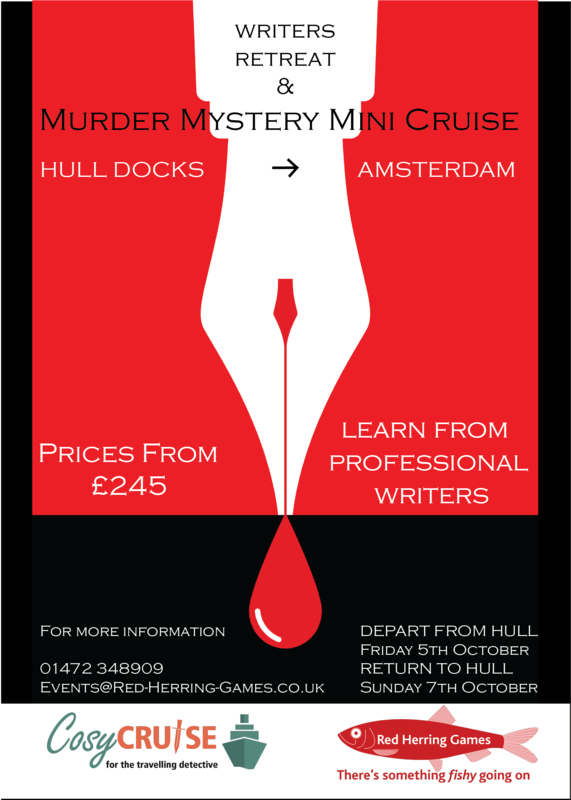 To find out details about our mentoring program which will get you from point A to point B in your writing and allow you to pen your own murder mystery parties with your own characters – just get in touch via email or phone. Details of our program are below. We also run writers retreats regularly – which are not only great fun, but a great way to get 1-2-1 support. Do keep an eye on our events page to see when our next one is due. The mentoring program is currently open again, but with limited availability due to the significant time the process takes up. We can only provide this service in English… as I’m afraid our foreign language skills are negligible. There are a number of different “levels” of mentoring available and, subject to availability, participants can upgrade to the next one as required. Which will be followed by 2 x detailed feedback sessions by email, skype or phone (again whatever is your preference). Followed by another detailed feedback session by email, skype or phone. Followed by another detailed feedback by email, skype or phone. Assistance with templates to allow you to format game materials. Professional editing and proofing of your work to pick up any final problems / mistakes / plot issues. Printing up of your final game and dispatch to you (within the UK shipping is free – outside the UK additional shipping fees may apply).